IST Tech Bc Weight Pocket! "Sold as a single pocket!" 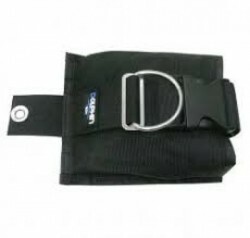 * This pocket is not just for IST products but can be used in many diving applications! * Uses an inner pocket to hold your weight "Up to 8.8lbs! * The outer end of this pocket is made from a 1680D Heavy Duty nylon allowing you to dive in the harest conditions since this pocket will hold up! * So you can use this on a backplate or your general harness with no issues! ** Sold has a single pocket! Want a pair please make sure to order 2!